Psychologists and neuroscientists struggle with how best to interpret human motivation and decision making. The assumption is that below a mental “surface” of conscious awareness lies a deep and complex set of inner beliefs, values, and desires that govern our thoughts, ideas, and actions, and that to know this depth is to know ourselves. In this profoundly original book, behavioral scientist Nick Chater contends just the opposite: rather than being the plaything of unconscious currents, the brain generates behaviors in the moment based entirely on our past experiences. 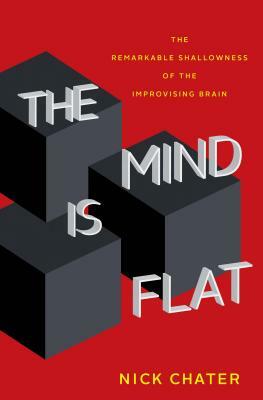 Engaging the reader with eye-opening experiments and visual examples, the author first demolishes our intuitive sense of how our mind works, then argues for a positive interpretation of the brain as a ceaseless and creative improviser. Nick Chater is professor of behavioral science at the Warwick Business School and cofounder of Decision Technology Ltd. He has contributed to more than two hundred articles and book chapters and is author, coauthor, or coeditor of fourteen books.